Children from the Al-Helal club, in the besieged Gaza Strip, are in Ireland and enjoying a 10-day visit of fun and football! 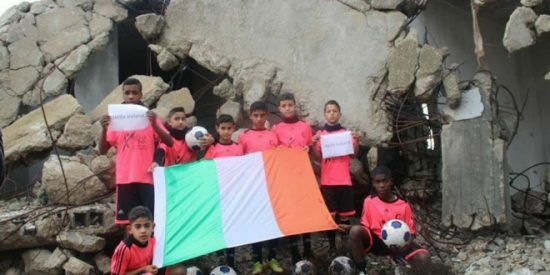 The children are due to play football in Dublin and participate in several activities throughout Ireland, despite some delays due to delays in their permits to travel from Gaza. The long effort of fundraising and red tape to bring the children to Ireland was launched by former Ireland manager Brian Kerr in 2014, along with former rugby international Trevor Hogan. According to the PNN, Hogan and Lawlor have led the GAI team that organised ‘Gaza Kids to Ireland’ – having first met many of them on a visit to Gaza in 2013. 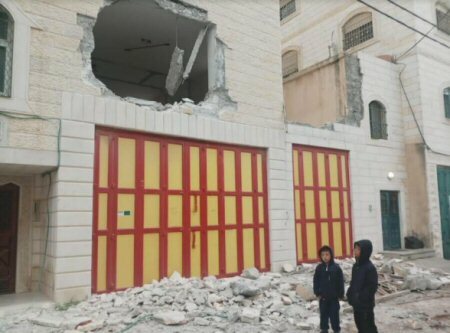 Al-Helal’s clubhouse and facilities in northern Gaza were damaged by Israeli bombing in 2012, and again in 2014. The population of Gaza, now approaching two million people, lives under an illegal blockade imposed by Israel, and these children have already lived through three wars on their territory.